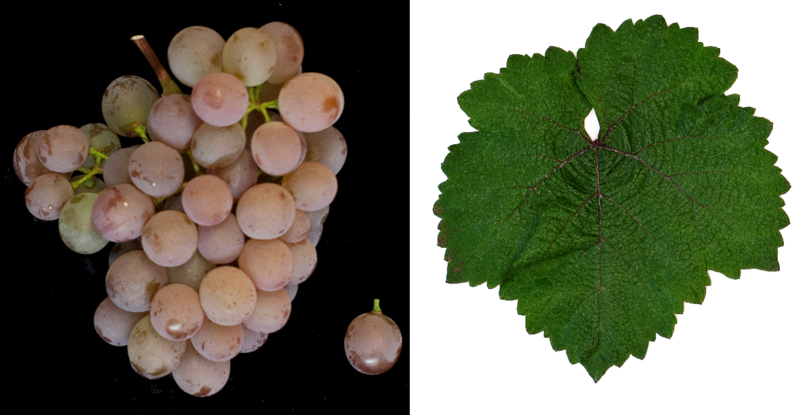 The white grape is a new breed between Kövidinka x Savagnin Blanc ( Traminer ). Synonyms are Anniversary 75, Jubilejni 75, K 11, Kecskemét 11 and Miklostelep 11. Made in 2012 DNA analysis turned on the parenting specified in the breed list Ezerjó x Pinot gris wrong (but based on only 19 DNA markers, see below) molecular Genetics ). The crossing took place in 1951 in Hungary by the two private breeders András Kurucz and István Kwaysser. The late-ripening, red-berry vine is sensitive to frost, It produces rich white wines with moderate acidity. The variety is on Balaton (Lake Balaton) as well as in the areas Csongrád and Kunság grown. In 2010 was in Hungary a cultivated area with 194 hectares (Statistics Kym Anderson ). This page was last modified at 26 February 2019 at 07:15.